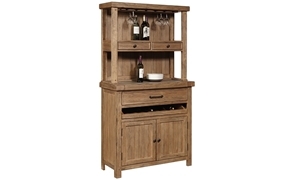 Cabinet includes concrete-top server and hutch in a matching blonde finish, featuring racks for both fine stemware and bottle storage. 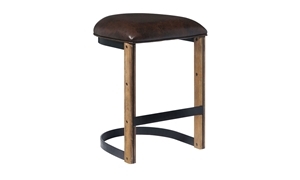 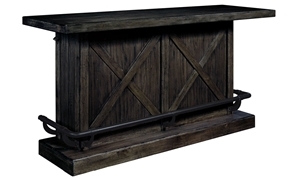 Bar in a distressed stout finish features a metal footrest and bottle openers on both sides, plus drawers and shelves for storage. 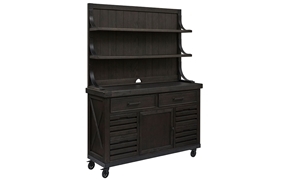 2-piece cabinet in a dark stout finish with industrial metal accents and locking casters offers ample storage and display options. 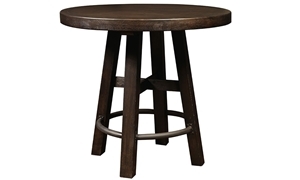 46-inch round counter height table with metal footrest showcases hourglass matched hickory veneers in a distressed stout finish. 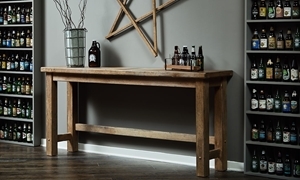 Bar table in a warm blonde finish is always ready to entertain with an open shelf, drawers and a cabinet, plus industrial pipe footrest. 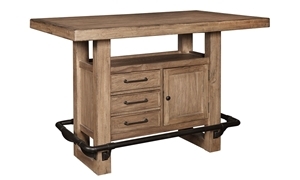 78-inch tasting table crafted with hickory veneers in a distressed blonde finish can also function as a dining room server or sofa console. 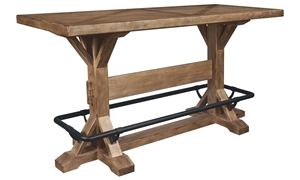 Bar height trestle table with metal pipe footrest features a 78-inch top showcasing double X motifs in a hand distressed blonde finish. 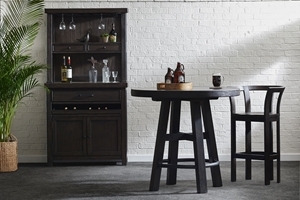 46-inch round bar height table with metal footrest showcases hourglass matched hickory veneers in a distressed stout finish. 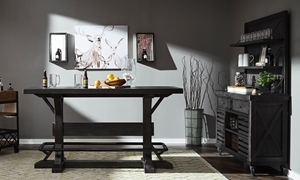 Bar height trestle table with metal pipe footrest features a 78-inch top showcasing double X motifs in a hand distressed stout finish. 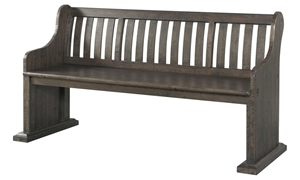 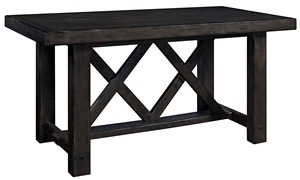 Sturdy 72-inch gathering table flaunts a thick plank top and double X bracing in a hand distressed, dark stout finish.